1Blend first three ingredients in shaker with ice. 2Pour into Collins glass filled with ice. 4Garnish with slice of fresh kiwi and serve with a tall straw for stirring. *Kiwi purée is available at specialty markets, but it's easy enough to make your own. Simply peel and core, cut into cubes, blend in a food processor, and strain. Six kiwi yields ~½ cup (8 Tablespoons, 4 ounces). Sour Mix is another easy-to-make ingredient, and home-made is far superior than most of the brands you'll find in the Mixers section: all you need is fresh lemons, limes, and simple syrup. 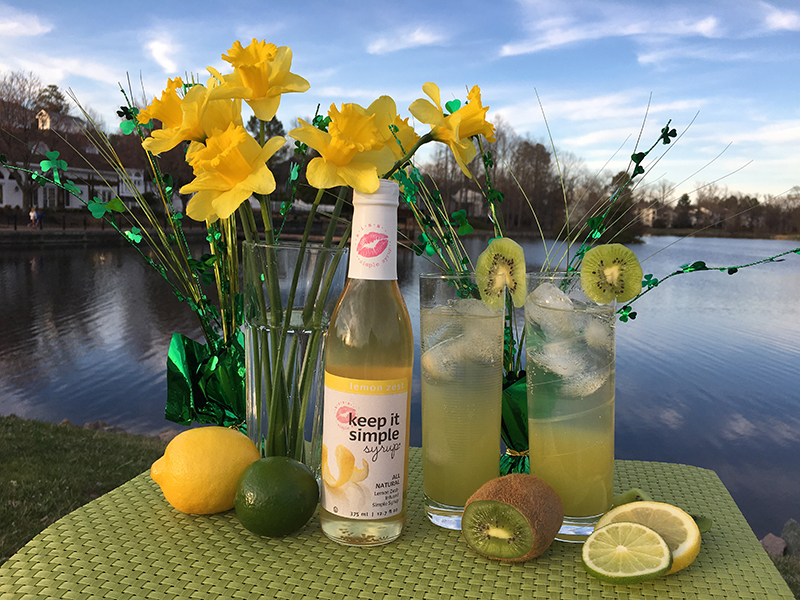 Mix 1 part fresh lime juice, 3 parts fresh lemon juice, and your favorite variety of Keep It Simple Syrup. Print or share our recipe.